Hello dachshund friends! 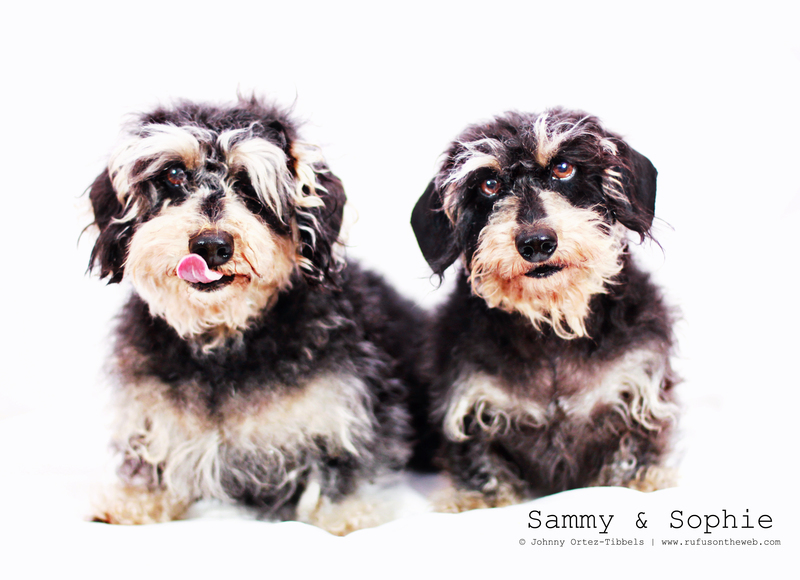 It’s a wirehair day featuring Sammy and Sophie. 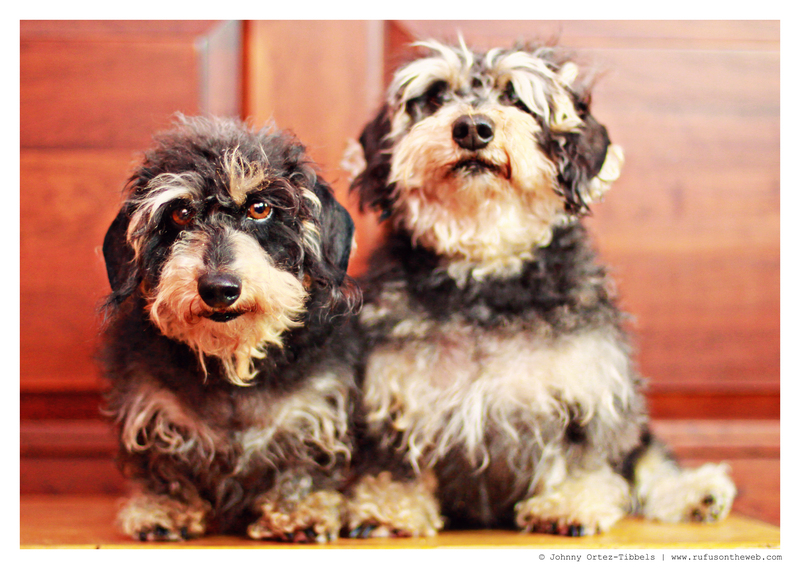 Sammy and Sophie are considered soft-wirehair dachshunds (I believe). For me, wirehair dachshunds have an unique range in appearance because their look is so dramatically affected by their humans’ grooming choices. Some people strip them while others let their wirehairs grow wild and even others choose to buzz their coats. What do you think of the wirehair dachshund?! Remember only 5 more days to pre-order your DOGS Summer 2014 tees, including the brand new, never offered before now, wirehair option. This entry was posted in DOGS, Rufus' Friends and tagged #AdorableDachshunds, #dachshund, #wirehair dachshund, doxies. Bookmark the permalink. I love wirehIred dachshunds, and am now on my 4th. I believe they have the best personality of all the doxies. However, I also believe in keeping all dogs well groomed. My previous wires were pets, and I didn’t strip their coats. Instead I took them to a groomer about 3X a year and had her clip them. My current wire is a show dog and I learned very quickly how to strip him coat myself, trim his beard and eyebrows, etc. As you probably know, clipping the hair causes it to come back in softer and sometimes thinner. I love the coarse texture one gets from stripping.